In Stock Ships with media in tank for easy installations Free Ground Shipping. Ships within 1 business day. Our Fleck 5600SXT On Demand metered digital water softener is packed with all of the top available features with the simplest mechanical design at one low price. With the the most advanced features and a simple design for easy programming the Fleck 5600 SXT is a "set and forget" system! No need to ever worry about reprogramming or resetting the time. The Fleck 5600 SXT has a unique feature of an internal capacitor that will keep your time set for up to 48 hours in the event of a power outage. It also has a non volatile memory standard that will never allow your system settings to ever be lost. You can custom set cycle settings for the most efficient salt settings saving you time and money. All this while still saving you up to 40% on salt usage over the standard timered systems of the past. Salt Used - Regeneration 10 lbs. 15 lbs. 18.75 lbs. 22.5 lbs. 30 lbs 37.5 lbs. 45 lbs. EconoSoft systems are tested and certified Gold standard with the Water Quality Association. Fleck 5600 is not a certified Gold system by the Water Quality Association. 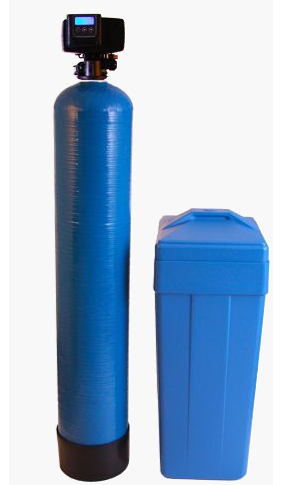 Fleck 5600 water softeners use 8% crosslink imported resin. 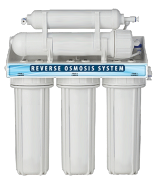 Econosoft water softener resin and brine tanks carry a lifetime warranty. 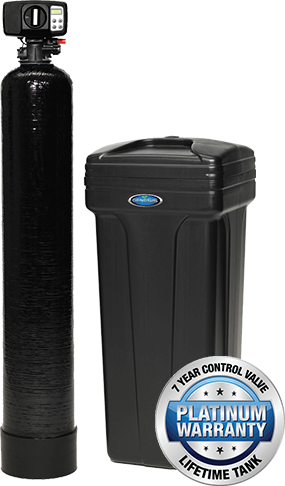 Fleck 5600 water softener resin and brine tanks carry a 10-year warranty. 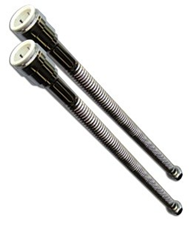 EconoSoft water softeners are equipped with a one-piece meter-in-bypass assembly to minimize leaks. Fleck 5600 water softener meter assemblies contain an additional segment between the bypass and control valve. This is my second Fleck and I have several years of quality service from them. I couldn't be happier. There are a lot of excellent videos available online that detail the installation. It's very straightforward. This is the second softener from discount. First one was for myself my son bought his first house the softener that came with the house was junk. Didn’t hesitate to order one from discount my son installed it himself works like a charm. i have bought multiple time..i have rental properties and every time has been great. even told my brother about them and he save big time too. This is the 3rd water softener I bought here and have had no problems. The softener works great and easy to install. Softener was delivered when expected. Took 3 hours to install. The results are beyond my expectations. We have great water and could not be happier with the purchase and result. The price is competitive and the quality appears to be top notch. I have a couple neighbors who now want me to help with theirs. I will definitely recommend DWS. Let me start by saying I know nothing about water softeners. The price I got for this model was cheaper with an upgrade to the 10% resin than the standard 8% resin on other sites. The transaction was fast and the shipment arrived within a few days. We are in the process of having the unit installed so I can not speak to the quality, but the overall unit and tank is bigger and looks like quite an upgrade to the unit we have had for 15 plus years. And overall this unit will be cheaper than the one we had. I ordered my Water Softener on Sunday arrived on Friday installed Saturday! Works beautifully! 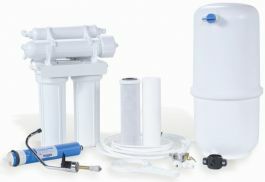 I priced locally nothing can compare in price or quality of this water softener! It is working it’s charm! Lots of hot water ! This is a thousand percent better then what I had in the last 30 years! I will be referring people to discount water softeners! Happy so far! I bought the 64,000 grain version and have had it for over 6 months now. Installation was easy and the softener has been working perfectly. I don't what else to say other than it works and doesn't use much salt.